Nostalgia – Chaos is Forever!!! If your ‘native place’ is North Karnataka(I won’t bother mentioning the exact place.Most Bangaloreans know N.Kar as one humongous flat piece of rock, with no boundaries) and you live in Hyderabad,I will be damned if you haven’t had some aspect of your life influenced by this masterpiece food item : the Mirchi Bajji(MB). It will suffice to say we are as passionate about Bajji as a Bengali is about a Rasgulla or a Mallu is about Parotta Egg Curry, probably more because the hotness quotient is more in a Mirchi bajji than the other two. Take my family for instance,myself included.Roughly speaking,the count of the mirchi bajjis we consumed during the 90’s was greater the cumulative sum total of all varieties of fruits dad got home during that period .Not that we ever complained. In fact, dad is still famous in the larger family circle for his Bajji fetish. All my elder cousins still never miss an opportunity to pull dad’s leg when they meet him – “Dattu kaka, nim makklige mirchi bajji tandilla(You didn’t get MB for your kids)? :D”.The proud gentleman that my father is,he would vehemently go on denying all the allegations and declare that he hasn’t been tempted by them in a long time now. The Mirchi Bajji affair resurfaced during our house warming ceremony last week. 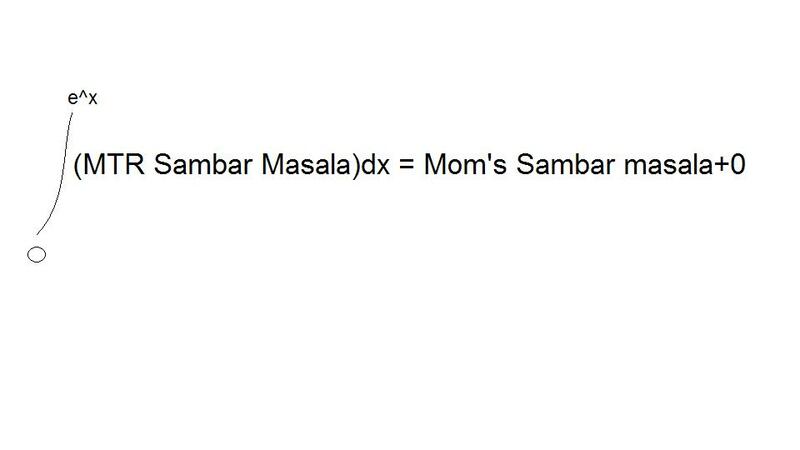 Apparently, dad had ordered the cook to add the ‘delicacy’ as part of the lunch menu :D. At the last minute,some one found this out and politely suggested dad to change it something else,because having MB again is too boring.BTW, have any of you tried asking for sambar with your dosa at MTR? If yes, have you noticed the startled and offended looks the oldies sitting around you kept giving you for asking sambar? I tell you,never ask for sambar with dosa at MTR(or any of the popular breakfast joints in South B’lore). Coming back,my father’s antagonized facial expression was the same when asked to cancel the MB. So me and some relatives were reminiscing this with amusement while going to the new house (dad was not present with us), our hyper-talkative and mutliloquent driver who works at dad’s bank piped in without warning “Saar eats lots of bajjis at work”. He didn’t need much prodding to gain full dramatic flourish before continuing – ‘What do I tell? Saar keeps sending me to get MB for him. I tell him that he needs to stop now and I wont let him go down like this. But Saar says – “What can I do Narsimulu? (cough cough) I need these. I can’t carry on without the bajjis. (cough) Don’t argue too much.I’m doomed anyway. Just get me those damn things(cough cough cough)”.My heart bleeds for him. But I am helpless’ he concluded. When contacted, dad had this to say “Aa soolemaga hang andna (That fellow said this)? I’ll see him at the office”. (Disclaimer: Everything below as narrated by my brother) Mom has her own mirchi bajji story. The other day as I was going out, she said she felt like having MB and asked me to get two of them. Just as she had the first bite and was going for second,she froze. Tears started rolling down from her eyes. I was puzzled “Mummy,enaytu”? Mom went full retro. “Beta,this incident happened 22 years ago. You were still a baby then.We were traveling somewhere and the train stopped at a station.Your dad got hot MB and passed them to me from the train window. (Maybe all this started on that historic day). Nothing has tasted the same since then. I’ve been looking for the same out-of-this-world taste for the last 22 years now, and without success.Today,finally, my quest has ended with these bajjis”.I think she stopped short of saying ,”This is why you were brought into this world,my son. This was the purpose of your life. To get me Mirchi bajjis”.Sigh. An inquisitive mind (probably one of those who had a problem with the integral)or a Bangalore loyalist would raise a question as to why Hyderabad was quoted and not Bangalore, although I daresay this matter is none to be proud of. I am afraid I will have digress further assuming that my intelligent reader is capable enough to keep track of the narrative.Lets take a simple case of a pedestrian crossing the road in Himayatnagar, a fairly upmarket locality in Hyderabad. Once you reach the middle of the road, 6 out of 10 times you find yourself dead straight in line with an adrenaline charged biker zooming at an inestimable speed, usually returning from a telugu movie at a theatre at RTC X-Roads where he would have seen the super hero (there are only superheroes in telugu movies) beat the crap out of the 50 people surrounding him in an epic climax. At that instant as you look into his eyes, you know you are done for. And at that very instant,your entire life will unfold in front of your eyes in a series of snapshots, rewinding fast from frame to frame. Then blank.Peace.….A deafening noise. The bike has zoomed past and you are standing like a dead trunk in the middle of the road,heart in your mouth You have been warned. Again. Now that we have effectively described the credentials of this masala powder, I have to clarify one more thing. Granny will be stirring in her grave hearing me address the legendary Masala-X as mom’s, for it was her patented recipe. As a kid, when I visited grandma’s place for summer holidays, I would get down the auto and run straight to he kitchen shouting “Ajjjjji, masale haaki huli madidiii?”(Grandma,have you prepared the sambar adding the masala?) Grandma would walk to me at a slow pace, chuckling, peck me on my mouth (Why do grannys do that!?) and then open the container to proudly display the brownish-red sambar, its aroma filling the entire kitchen.And then we cousins would have the rice and sambar for dinner,with dollops of ghee to add, sometimes in the verandah by moonlight. My summer holidays were made of such memories :). Ajjis and Ajjas have gone, but their legacy remains. So what now? I have lost all hopes of finding masala-X. And so the X-factor wil be missing in my dinner till I go home next time. Until then, I will just have to make do with the e^x times differentiated version from the MTRs. These were the exact words as I remember the Chimpanzee(aka Naveed ,Team Captain & Classmate) had said. He & people around were rolling on the floor with laughter. He said that neither because I was out clean bowled with each stump landing in three different directions nor because I was a big duck in the match. He said that after seeing me walk back after getting out. Flustered, insulted, angry, face as white as a ghost & now come to think of it probably a bit scared too :D. I just gave a wry smile back and crashed onto the ground. And see, his prediction was right. I didn’t make it to international cricket :P :P . That was my second official match for Section A Team. I was in 9th standard. Let me explain the format of our game first. We, as a group, were unanimously against full length games with 10-15 overs a side, full length pitches and full arm bowling right from the beginning. Wise men that we were, we knew that would waste a lot of time and we would be too tired too soon to enjoy the game. Thus the concept of “short boundary” came into being. – Bowling is standing from the bowler’s crease and delivering the ball. We had decided right from the beginning that we needed more practice on the offside for us to blossom into great players. :P The decision was taken with immediate effect . No runs on the onside! Modesty be damned, I was the most dependable player in the group. And I guess much to the amusement of others, I used to take the game way too seriously. Others were the kind who would not hesitate to forfeit the match after batting just because they don’t want to field. :D. And we got used to this kinda cricket so much that when we played matches against other team where runs could be scored all round the wicket, most of us had forgotten there is something called onside where we can hit and score runs too :D . Soon we were regularly playing on weekdays too after school hours. I sometimes used to reach home at 6:30 – 7 pm on weekdays after a 2 hour session of play. Life was good then, in fact, great. And the images just don’t disappear from the mind’s eye…. The memories don’t fade…. And one of those days when I returned home late, took off my shoes and was about to enter the house , I could see a silhouette framed against the open door. Dark & eerie. I strained my eyes to see what it was. And then a lightning struck far far away and threw light for a split-second on the figure at the door. I could feel a terrible lump go down my throat & land in my stomach .My legs would give away, not out of exhaustion & fatigue but out of dread. Mom! A very very pissed off Mom! Yeah, some memories just DON’T fade away… :D.
You will see some improvements in standards once you start playing for the official team – you use a proper cricket ball (the red ball all with the leather & the seam over the cork core), there is a mat along the pitch so that an even bounce is generated and you get to wear gloves on your hands and pads on your legs! And that was my nemesis in my first official match. I couldn’t run to save my life wit the pads on!!! And then, as wretched as it seems, I had to call for a runner. One fine delivery, I hit for a single, my runner ran & I ran along with him & then there was chaos. I was run out after scoring one :P . My 2nd match, as already explained , was a superior debacle. But soon I found my confidence and started making useful contributions. Alas! All good things come to an end. The clock was ticking. Soon they said – “ You have had enough fun now .You need not come to school from tomorrow.” And they handed me a certificate. :( The end of an era ….